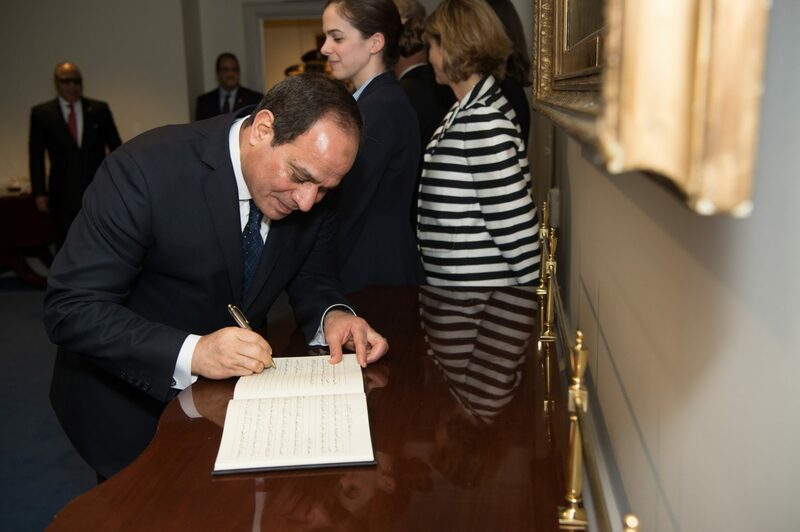 Egyptian President Al-Sisi’s greatest challenges are combatting terrorism in Sinai and beyond, spurring economic growth, capitalizing on the country’s energy opportunities, carrying forward great national projects, solving the Nile waters challenge posed by Ethiopia, and addressing critics in Europe and the United States. Given the alternatives, it is very much in the interest of Israel and regional allies to assist Sisi, while simultaneously encouraging him to curb some his regime’s most repressive characteristics. This study was written with the generous support of Ambassador Zalman Shoval and the Israeli Foundation for the Advancement of Man. Egypt’s presidential elections, held in March 2018, produced a predictable outcome. Incumbent president Abdel Fattah Al-Sisi, running as an independent, won 21,835,387 votes. The only other candidate left in the race, Musa Mustafa Musa, garnered 656,534. Winning with 97% of the votes cast demonstrates how far the reality of Egyptian politics has fallen from the fervent hopes of 2011. Still, the revolutionary events that swept across Egypt beginning in 2011 have been of decisive importance. Egypt’s population will soon reach one hundred million people. The country maintains a vital geo-political position. The internal upheavals and their potential ramifications, including the rise of Islamist totalitarian rule, could be devastating for regional and international stability. Egypt’s challenge is essentially internal. Indeed, the country faces only one significant external threat, the ongoing construction of the Renaissance Dam in Ethiopia. However, this potential flash point can be mitigated by implementing more progressive water policies. Elsewhere, there’s a festering border dispute with Sudan, while the lawless lands of Libya present other problems. But none of these issues constitute a strategic threat to Egypt. Meanwhile, Israel continues to be a strategic ally, despite the hostile view of the Jewish state that’s held by many Egyptians. The future of Egypt hinges on the current regime’s ability to hold the country together economically, socially, ideologically and politically. Specifically, Sisi needs to win the internal war on terror, implement his national projects, sustain growth, strengthen ties with Eastern Mediterranean countries, and overcome deep reservations about him in the United States and across Europe. All this depends on whether Sisi can keep his government unified, despite the recent emergence of fissures within the ruling establishment. One key way he’ll be able to keep his own house in order is by continuing his reform efforts and his quest to transform Islamic religious discourse (tas’hih al-khitab al-dini). Israel and other regional players in the Eastern Mediterranean would be well advised to view Egypt’s continued stability as their top foreign policy priority. In return, Egypt would benefit from the discreet advice and assistance that allies can offer on such issues as water management, economic liberalization, securing the Sinai, and particularly reigning in Cairo’s security services, to make it easier for Israel to help Egypt on Capitol Hill. Policy Recommendations: Israel’s policies and ongoing dialogue with allies in the region, the United States, and across Europe, should thus be focused on enhancing Egyptian stability. To do so, Israel needs to pursue several courses of action. To begin with, the government in Jerusalem must maintain close relations with the Egyptian leadership. This alliance can be strengthened by discreetly enhancing cooperation in the military and intelligence spheres. 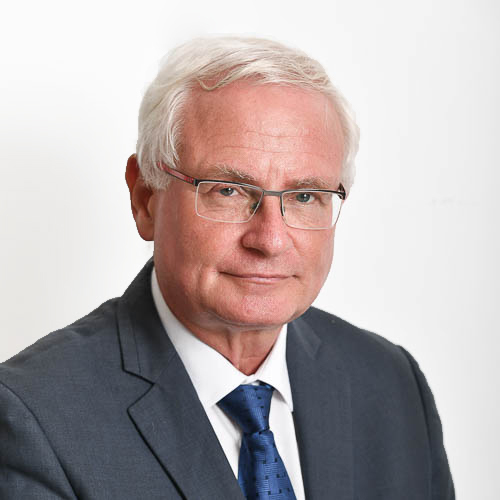 Regarding trade, Israel can take a renewed interest in specific economic incentives such as the expansion of the QIZ system, and other trade measures. In addition, Israeli expertise in the field of water technology can, preferably indirectly, help Egypt cope with the consequences of the dam in Ethiopia. At the same time, Israel should encourage the U.S. Congress to remain fully committed to aiding Egypt and helping it win its internal war on terror. This financial support should include gentle persuasion on the part of senators and congressmen, to encourage Egypt’s leadership to reform its economy. Also, Israeli leaders should engage the Egyptian government in a conversation on ways to transform the public discourse, away from the violently anti-Israel rhetoric that continues to pervade across Egyptian society. Meanwhile, common ground between the two countries can be found on the Palestinian issue, specifically with regards to the population in Gaza. Such a display of cooperation could be used by Sisi as proof that he can deliver practical results by working with Israel, enhancing his international credibility. It would be useful to broaden the scope of consultation and coordination with other Mediterranean partners, expanding the present model of trilateral meetings (Greece-Cyprus-Israel and Greece-Cyprus-Egypt); and when possible, given political turmoil there, bringing Italy in as a strategic anchor. Specifically, it is important to lend political support, in Washington and in Europe, to the Egyptian strategy in Libya. Having said all this Israeli political, intelligence, and military leaders must also be ready to respond to the unlikely, but dangerous, possibility that Sisi’s regime will disintegrate; and the result of his ouster could be that the 1979 peace treaty between Israel and Egypt is torn up. The inclusion of such a risk (as distinct from an actual threat) as part of the Israel Defense Force’s (IDF) overall strategic doctrine will help sustain Israel’s qualitative military edge, another vital pillar of regional stability. Amidst the turmoil and slaughter occurring across the region, it’s easy to lose sight of Egypt. However, this country is the cornerstone of any regional structure and one of the keys to the evolution of today’s Middle East. This has been the case throughout the modern history of the region, often said to have begun with Napoleon’s invasion of Egypt in 1798.1 The opening of the Suez Canal, the rise of Gamal Nasser, the 1956 Suez Crisis, the Six Day War, Anwar Sadat’s visit to Jerusalem in 1977 and the attention drawn by the uprisings against Hosni Mubarak in 2011 and Mohamed Morsi in 2013 all attest to Egypt’s centrality. In the years since the rise of Abdel Fattah Al-Sisi life in Egypt has been far less dramatic. The present regime has demonstrated an ability to hold on to power, as typified by Sisi’s lopsided re-election. As a result, international attention and Israeli concern has waned. Taking Egyptian stability for granted could, however, turn out to be a dangerous decision. For now, it appears that only when a major terrorist attacks occurs – such as the Russian airliner bombing in 2015, 2 or the slaughter at a mosque in Sinai in 2017 that claimed over 300 lives3 – does Egypt’s challenges and opportunities become the subject of heated debate and analysis. As a point of departure then, it’s therefore useful, indeed necessary, to restate the obvious. True, Egyptians may at times overstate the importance and “role” of their country, fondly referred to as “mother of the world” (umm la-dunya). It is, however, a very important country, for several reasons. Egypt will soon exceed 100 million people. 4 This will make it the 14th or 15th most populous country in the world. Egypt’s currently the biggest nation in the Eastern Mediterranean region, outranking both Turkey and Iran in terms of population. Almost all Egyptians live in a very small part of the land – the Nile Valley and the Delta – making these areas among the world’s densest. According to official statistics, greater Cairo’s population is set to grow from 18 million people to 40 million people by 2050. China thus joins those countries that have come to recognize Egypt’s strategic significance. As a nation that straddles Africa and Asia, Egypt’s a major player in today’s Middle East and East Africa. And because of its sovereignty over the Suez Canal, Egypt controls one of the world’s key SLOCs (‘Sea Lanes of Communication’, to use a U.S. naval term). Since 1798, this physical position has turned Egypt from a sleepy Ottoman backwater to a vital geo-political asset, central to the designs of foreign powers as well as a linchpin in regional developments. Given today’s patterns of global economic development and the growing strategic importance of the Eastern Mediterranean, Egypt continues to be a key player in world affairs. Egypt is also important since it’s the stage for a battle of ideas over the role and nature of Islam in society and politics. a crucial ideological challenge of our age worldwide. The Big Question: Can Instability be Predicted? With so much at stake, the question of political stability in Egypt is of primary importance. It has long been a subject of fascination for scholars and practitioners alike. In the broader context of events in the Arabic-speaking world, it presents three central challenges for historians and strategists to address: What gives rise to years of instability? What facilitated the shift to decades of extreme stability? Will there be another turn towards upheaval? First came a long series of coups and revolutions across the region in the generation immediately following World War II: Syria in 1949 and then often again; Egypt in 1952; Iraq in 1958; Libya in 1969, among many others. Then came nearly 30 years of one-man rule, between Sadat’s assassination in October 1981 and Mubarak’s resignation in February 2011. Elsewhere in the region, Hafez al-Assad in Syria, Muammar Gaddafi in Libya, and King Hussein of Jordan presided over an almost catatonic period of stability that lasted decades. Scholars have labeled this the era of “Authoritarian Persistence”. The period ended with a dramatic burst of upheavals in 2011. What made this ‘persistence’ possible, and why did it end? The verdict is essentially in on the failure of the U.S. attempts to transform the region. When compared to the manner that Eastern Europe and Latin America went from autocracy to democracy, American efforts have largely failed. But given the hybrid nature of the current Egyptian regime – one that incorporates both authoritarian and participatory political elements – the debate on democratization in the Arab world has once again become relevant. What made it possible for this type of leadership to survive so long? On the one hand, modernization theory asserts that positive social change – economic growth, urbanization, literacy – will catalyze a shift toward democratic forms of governance. On the other hand, essentialists see Islamic culture as the underlying reason for the failure of democracy to take root. According to this worldview, it is this particular culture that is the primary reason for the failure of the liberal experiment, attempted in the 1920s and ’30s. However, there’s another way to view the impact of modernization, in the specific context of a poverty-stricken country like Egypt. Glaring social imbalances, along with the attendant fears of the small privileged classes, have only deepened the democratic deficit. As a result, strong regimes appeal to the elites. The lack of an empowered and broad-based middle class is another factor in the demise of any democratic aspirations. These grim societal realities must inform any discussion about the viability of Sisi’s policies. At the same time, it’s increasingly clear that the political dimension, rather than social and economic dynamics, is often the decisive factor in Egypt’s struggle for stability. Specifically, Arabism, which was Nasser’s guiding ideology, or the modern interpretations of Islamism, are crucial in Egypt. Other important power structures are the military and the bureaucracy, in addition to the level of cohesion among the ruling classes. This focus on the specific role of governmental and political dynamics dovetails with the forceful argument put forward in 2010 by eight prominent scholars associated with the Political Instability Task Force – PITF – a project sponsored by the Central Intelligence Agency (CIA).10 Using a database covering the entire international system for the period of 1955-2003, the task force suggests that social and economic factors commonly associated with instability are largely irrelevant. In both civil wars and adverse regime changes, the most powerful indicator of impending destabilization is the internal cohesion of a particular regime. In the light of recent history, the PITF model missed the mark to some extent. It didn’t predict the Arab upheaval of 2011, which spread like wildfire from Tunisia, as detailed below. The PITF does offer, however, offer a useful insight into the internal political dynamics that determine regime stability. The ultimate test is thus defined in terms of the capacity of an existing political order to function, sustain its internal cohesion, avoid factional infighting and maintain a strong institutional base. This is how success is measured, rather than in terms of social and economic results. Such a barometer can best gauge Egypt’s prospects under Sisi. This is especially so given the image of effectiveness that he’s projected, combined with the dangers to regime cohesion that have already surfaced or may develop. In light of the PITF’s findings, it’s worth noting that such categorization is only relevant if such regimes remain externally effective, and internally cohesive. The three pillars cited by Gerscewski are mutually interdependent. In addition, they require international and internal support to bolster a regime’s legitimacy. Indeed, international legitimacy can have a direct bearing on a government’s internal stability. This web of inter-dependent factors may well be relevant to the situation now unfolding in Egypt. To a certain degree, even acts of repression and democratic reversals can be deemed legitimate, if they’re perceived as necessary for a regime’s survival. Regimes that have garnered the respect of the people they rule, as well as key regional and international allies, can expect such a level of legitimacy. As such, effective action against terrorism and subversion is necessary to legitimize a regime, given the expectation that its top priorities are to maintain national security and keep the country unified. Domestic legitimacy and repression may be necessary to persuade key political, economic and social players – particularly the upper classes – that it’s to their benefit to be co-opted by the regime. Such co-optation, in turn, provides further means for building up legitimacy and isolating internal enemies. This interwoven conceptual framework will be translated below into a categorized list, assessing specific aspects of current Egyptian policy under Sisi. Insofar as legitimacy is the ultimate key to Egypt’s stability and the survival of the present order, it’s also the president’s biggest vulnerability. Morsi strongly criticized both the legality and legitimacy of his ouster and eventual arrest in 2013, claiming that his power was Sharia-based. This assertion continues to hinder Sisi’s efforts to assert legitimacy and flesh out his regime with the necessary institutional and constitutional forms. His prospects of success rely – as Gerscewski’s toolbox suggests – upon the current regime’s ability to confront and beat back the direct threat posed by terrorism (mostly by those elements associated with the Islamic State). The continued viability of Sisi’s regime also depends on his ability to continue and complete the business of thwarting and de-legitimizing the Muslim Brotherhood. To maintain internal coherence, and bolster his power base within the military establishment, Sisi must be perceived as acting forcefully. This realization explains the high-handed manner in which he has removed all serious rivals and contenders and secured a sweeping reelection as president in March 2018. In much the same manner, the ability to co-opt important elements of Egyptian society is another vital pillar of stability. Sisi needs to have the support of the “deep state”. This term, borrowed from modern Turkish history, essentially refers to the political power vested in the military elite. In its current usage, the deep state in Egypt also includes the legal and security apparatus, as well as the enormous segment of the economy controlled by the military. The regime must also recruit supporters from among the small but powerful circle of free standing entrepreneurs and business leaders, as well as religious authorities and opinion makers. Such cooptation is a necessary tool in the government’s struggle for legitimacy, and its battle against Islamist terrorism. But stability can only be achieved if the two other pillars, the legitimacy of the regime and its ability and willingness to use force, are widely acknowledged. The regime’s capacity for taking action determines the level of risk that comes with supporting it. In today’s Egypt, this is a risk worth taking only if Sisi proves to be both popular with the political classes and ruthless in the war against his enemies within. This is a point that’s often missed by those in the West who measure the regime strictly in terms of its human rights record. Their concern is a justified moral stance that highlights an important long-term threat to legitimacy. Still, those who make human rights a top priority tend to underestimate the danger, not only to the leadership but to the state, of an Egyptian government perceived to be weak against Islamist terrorism, and hesitant against the challenge posed by the Muslim Brotherhood. At this point, the question of effective economic management becomes relevant. It’s important not so much in terms of ultimate results. After all, Egypt’s societal woes are so ingrained that no solution’s in sight. At best, the government can prevent further deterioration, and develop limited reforms. Rather, economic management in Egypt can be used to measure the regime’s ability and vitality. To co-opt key economic players and remain in good standing with the wider Egyptian citizenry, the regime must be seen as developing new options, pursuing new initiatives, and offering entrepreneurs and workers alike a stake in these ventures. Grand projects are one avenue for such efforts; attracting major investments is another. Both, in turn, are simultaneously dependent upon and contribute to security and stability. As such, this is an interdependent model in which the regime’s mutually reinforcing policies and actions can potentially advance Egyptian economy. However, such a paradigm also leaves open the possibility that the government’s failures in one sphere can have an adverse effect elsewhere. In this context, one of the most important pillars of stability isn’t only internal, but regional and international legitimacy. This is reflected primarily in the regime’s standing in Washington and European capitals. Other ways to gauge the Egyptian government’s credibility include sub-regional cooperation in the Eastern Mediterranean and the regime’s standing in the Arab world. Particularly, this refers to Egypt’s relationships with Saudi Arabia and the United Arab Emirates (U.A.E). Over the last few years, Egypt’s ties to both countries have gotten stronger, after a period of relative deterioration. This is also an important component in the internal equation. This can explain Sisi’s relief to have a new administration in Washington to deal with. This shift in attitude has translated into a willingness to make an extraordinary effort to secure President Donald Trump’s continuous support. This approach could turn out to be dangerous, however, if too much reliance is placed on one source of international legitimacy at the expense of others. The theories and observations offered here don’t suggest a deterministic assessment of Sisi’s prospects. Neither the relevant analytical tools nor the realities on the ground lend themselves to any such clear-cut judgements. Some of what’s been done since 2013 does indicate that the regime has a sober understanding of the magnitude of what’s at stake. The regime’s actions also indicate a willingness and ability to act decisively. At the same time, Sisi’s rule has also reflected fear, vulnerability and signs of internal tensions within the governing elite. Some challenges are still poorly managed, requiring greater initiative and creativity from a governmental establishment not famous for either. As such, leadership and internal cohesion are critical going forward. This is an insight that can be confirmed with a cursory glance at the causes behind the events of 2011, and the emergence of the present regime. The theoretical framework points to leadership cohesion as a key determinant of government stability. This hypothesis was proven by the lessons of the stormy thirty-month period that began with the outburst of public protests, the so-called “Arab Spring”. In January 2011, a dissent in Tunisia quickly spread to Egypt and elsewhere across the Arab world. The story of what happened in Egypt can’t be told in isolation, it was part of a broader drama over the democratic deficit that had been growing for years. To some extent, this development was brought into focus by the American intervention in Iraq in 2003. In turn, elections and democracy building experiments were tried in Iraq and elsewhere. A neo-conservative “Freedom Agenda” was put forward by President Bush and Secretary of State Condoleezza Rice. Some of these themes were repeated by President Barack Obama in his 2009 Cairo speech. This American drive to democratize fused with deep underlying changes in social and political dynamics. Perhaps the most important factor was the revolution in communications, which freed young men and women everywhere from past dependence on government-controlled sources of information. Egypt, a recognized geo-political unit since time immemorial, was spared the agony of disintegration. Compared with the levels of violence that occurred elsewhere in the region, the Egyptian people went through dramatic political convulsions, but with limited bloodshed. One notable exception is the incident that took place on August 14 201315 in the Rabi’ah al-‘Adawiya area of Cairo, where hundreds of people were killed. And yet the reasons for Mubarak’s disgrace and fall go well beyond the manner in which he was abandoned to his fate by his American ally. For years, his regime had been slowly descending into a level of corruption and repression that left many Egyptians frustrated and angry.17 By 1997, Mubarak had won the ugly battle against terrorism in Egypt proper (as distinct from the Sinai). The horrifying attack in Luxor was one of the last. Having vanquished his Islamist foes Mubarak proceeded to throw the democratization process into reverse, as characterized by the NGO Law, curbed economic liberalization, and a shying away from innovation and initiatives. Not surprisingly, a movement coalesced that sought to bring an end to Mubarak’s interminable rule, one that was longer than Nasser’s and Sadat’s put together. The protest group, calling itself Kifaya (“enough”), embarked on a campaign to prevent Mubarak’s son Gamal (Jimmy) from inheriting the reins of power. Yet it was an external spark – the crisis in Tunisia and President Zine El Abidine Ben Ali’s decision to flee the country – that exposed the internal fissures within the Egyptian regime and led to the rapid disintegration of Mubarak’s rule. Both Tantawi and Suleiman saw themselves as fit to take over. However, their deep disdain for one another led each to support Jimmy’s taking over from his father. The arch rivals Tantawi and Suleiman wanted first and foremost to ensure that the other didn’t become ruler of Egypt. But once the protesters voiced their strong opposition to hereditary rule Mubarak promised that neither he nor his son would stand in the next elections. At this moment, the rift between Tantawi and Suleiman grew to become a key factor in the rise of Egypt’s military leadership. Since 1952, the military has often come out on top when internal tensions within a regime have arisen. In 2011, while the police practically ceased to function, soldiers managed to enhance their legitimacy with the Egyptian people. Largely because of the dire warnings issued by the Obama administration, the military was unaffected by the limited repressive action that Mubarak took against the protesters. As such, Mubarak’s decision to step down in favor of a military interim government – the Supreme Council of the Armed Forces (SCAF) – was wildly cheered in the Tahrir Square as the revolution’s ultimate victory. Problems of leadership came again to the fore, however, and left their mark on the transition period. What began in a spirit of commitment “to protect the people”, evoking memories of 1952, soon deteriorated into a conflict that included the violent suppression of protesters in Maspero in October 2011. The SCAF was unable to offer a vision for the future beyond managing the run-up to the elections of 2012. Leadership and cohesion problems quickly emerged under Morsi as well – but for different reasons. These problems soon combined with what came to be seen as a failure to manage the economy, along with growing complications related to Egypt’s foreign policy. The Muslim Brotherhood originally had planned to avoid the first post-revolutionary presidential elections, perhaps aware of the risks involved. But by mid-2012 they could no longer resist the temptation, made more alluring by rising poll numbers. Their first choice as candidate was Khairat el-Shater, an able and sophisticated activist turned businessman. But he withdrew because of disqualifying past verdicts against him. MB’s second choice, Mohammed Morsi, was a highly qualified engineer, a valued profession for a movement seeking to prove that it is compatible with the modern world, no less so than Egypt’s presumptuous elites. However, he had no political skill or prior political experience. “He conveyed a mulelike immovability, and little else”, wrote an observer sympathetic to the Brotherhood activists. At no point did Morsi succeed in truly co-opting the deep state. His facile assumption was that he was in the unassailable position of being the embodiment of constitutional legality. After all, he’d won a fair election, with 52% of the vote. Two years later, Sisi would garner a less than legitimate 96% of the vote against Hamdeen Sabahi. In 2018, he would top that old-style authoritarian result by getting reelected with 97% of the vote. Indeed, some referred to Morsi as the first truly and duly elected head of state in Egypt’s 7,000-year history. However, this legitimacy did nothing to resolve the growing tensions within government over a broad range of policy issues. Ideology and identity didn’t sit well together. When violence erupted between Hamas and Israel in November 2012, el-Shater reportedly confronted his colleagues in the MB leadership. He asserted that despite the Brotherhood’s long-standing ideological affinity with Hamas, a self-declared offshoot of the MB until recently, the MB had chosen to stay out of the conflict. In fact, the Brotherhood had sought to bring the hostilities to an immediate conclusion.22. According to el-Shater, MB’s Egyptian identity and unwillingness to go against the military’s opposition to creating a breach with Israel trumped any ideological connection to Hamas. Morsi proceeded to do just that, pushing Hamas to end the hostilities and working hand in hand with U.S. Secretary of StateHillary Clinton. Doing so won him a warm note of approval from the Obama White House. This, in turn, hastened Morsi’s downfall since he now felt emboldened to effectuate new constitutional measures to consolidate his rule. With regards to actual repression, Morsi managed to frighten and anger broad segments of society but didn’t go far enough to protect himself. Soldiers, civil society, and foreign (i.e. Saudi Arabia and U.A.E) players all joined in the anti-Morsi backlash. By late June 2013, the Tamarod (“rebellion”) movement had millions of people marching in the streets. On July 3, the military took power. The policy choices made by President Sisi should therefore be understood against the background of the stormy events that preceded his rise. We can safely assume that they’re not guided by the theoretical framework suggested above. Once in power, however, Sisi evidently came to similar conclusions. His is a more intuitive understanding of what’s at stake and what needs to be done to guard against instability. To consolidate power and sustain political cohesion within the regime and the deep state, Sisi embarked on a path of escalating conflict with those perceived as enemies of stability in general and his regime in particular. He took an uncompromising stand not only against Islamist terrorists but also against the Muslim Brotherhood, NGOs, and civil society activists accused of being in league with Islamist subversion. Sisi, however, chose a different path. He had no wish to co-opt the MB or offer them opportunities to play politics within his own power base. He was aware of their prior efforts, when they came to power in 2012, to co-opt the military and collaborate with the security services. Sisi’s zero tolerance policy was aided by serious tactical mistakes committed by the Brotherhood during the post-Morsi period, including the presence of the Jama’ah al-Islamiyyah at their rallies and protests. Setting aside both co-optation and legitimization, the regime focused on repression. In mid-August, the military struck hard against an MB sit-in at Rab’ah al-‘Adawiyyah, killing hundreds and arresting thousands. The die was cast. Contrary to what some observers expected, these brutal acts, which nonetheless paled in comparison with the repressive measures enacted elsewhere in the Arab world, didn’t divide the deep state. Instead, Sisi’s actions enhanced cohesion. The military, police, intelligence services and courts became accomplices in the act of removing an elected president from office and in the violence that ensued. Immediately following Morsi’s ouster many key Brotherhood leaders were arrested, including Khairat el-Shater and the MB’s Supreme Guide, Mohammed Badie. In December 2013, former prime minister Hisham Qandil – an unpopular technocrat who’d been indicted during the Morsi regime – was arrested while trying to cross the border into Sudan. Within six months, the Brotherhood was transformed from the elected governing party to a terrorist group on par with al-Qaeda. Sisi thus ensured that the broad-based government would remain united in the face of a formidable force that was now a sworn enemy. Should the MB return to power it’ll surely extract revenge on those who’d been involved in bringing the organization down. This reality makes it even more likely that pro-regime elements will continue to hang together, lest they be hanged separately. This cohesion, however, began to show signs of fraying when the regime expanded its campaign of repression. Sisi steadily broadened the definition of who constitutes a threat to Egypt’s future. A week later, 17 demonstrators were killed in Cairo and Alexandria. And the death of a young mother, Shaima al-Sabbagh, hit by “non-lethal” birdshot pellets, caused widespread outrage.28 Sisi expressed sorrow and regret: “She is as a daughter to me”29. The best-known case was that of an Italian Ph.D. student, Giulio Regeni, who was conducting research for a dissertation on Egyptian trade unions. Regeni may have been reported to the authorities as a spy by a disgruntled union official. On January 25, 2016, Regeni vanished while in Cairo. This date happened to mark the fifth anniversary of the uprising in Tahrir Square. The scope and brutality of these repressive actions have been described by non-governmental organizations as the worst to occur in Egypt since the early 1990s. This was during the period when Mubarak fought, and ultimately defeated, Islamist terrorist groups, including al-Jama’ah al-Islamiyyah and al-Jihad al-Islami. Exacerbating the problem for Sisi was the impression in the United States and across Europe that while effectively repressing civil society elements, the regime was performing poorly in the war against terrorism, despite the renewed importation of American weaponry. This claim carries some weight. After all, there appears to be no end in sight to the government’s brutal anti-IS campaign in the Sinai, despite some recent progress. This bloody standoff casts serious doubts on two of the primary justifications for Sisi’s rise to power, his leadership and military experience. These attributes were once considered vital in the struggle to remove the terrorist threat from Egypt. On the one hand, such actions have had a dramatic impact on the ability of terrorist groups to transfer arms and traffic in drugs and other goods. On the other hand, the military’s aggressive policies are fueling anger and frustration in Northern Sinai, a region where many people earn their livelihoods by smuggling. While taking bold steps to undermine Islamist movements’ religious claims, Sisi has also intensified the military’s efforts to destroy terrorist groups. His particular focus has been organizations that have sworn a Bay’ah (“Oath of Allegiance”) to Islamic State and to ISIL leader Abu Bakr al-Baghdadi. as “Khalifah” (=Caliph). These strikes beyond Egypt’s borders didn’t amount to a persistent campaign, and their significance was at best symbolic. The main purpose of these actions was to demonstrate a commitment to avenging the slain Copts, and sustaining solidarity with Egypt’s Christian minority. The main front remains Northern Sinai, where Egyptian forces have been fighting a long and grinding battle since 2013. With “Sinai Province” intenst on expanding the battlefield, even cities in the Nile Valley that have experienced relative calm over the last twenty years are now caught in the crosshairs. During this period, the regime made some gains but also suffered difficult defeats. In a televised speech in March 2017, Sisi spoke about raising the “banner of humanity, mercy, construction and development” against IS. He’s done more than any previous president to take the fight to areas controlled or deeply penetrated by Islamist terrorist groups. Mubarak treated Sinai as a side show, after winning the battle for the Nile Valley and the Delta in the 1990s. For his part, Tantawi asked Israel for permission to allow larger Egyptian forces to be deployed in Sinai than is permitted under the military annex of the 1979 peace treaty. Nevertheless, Tantawi generally avoided making major decisions. And Morsi was clearly ambivalent about having to fight Islamist terrorist groups, which shared the MB’s goals if not its methods. It remains to be seen how effectively this new layer of bureaucracy aids Egyptian military and security forces in the war against IS, in Sinai and beyond. In a sharp critique of Egypt’s performance, David Schenker suggested that the systematic refusal of the Egyptian army to adjust to new challenges is the root of the regime’s inability to win the war against the terrorist groups. Rather than integrate intelligence inputs effectively, and procure the items needed for fighting a counterinsurgency campaign, the Egyptian military is still fixated on tanks, naval vessels and fighter aircraft. But these would only be relevant in a putative war against Israel, which isn’t viewed as Egypt’s primary challenge for the foreseeable future. Despite a basic sympathy towards Sisi’s wish to win the war on terror, Schenker describes a troubling reality, in which the local Bedouin population is deeply frustrated and often abused because of the attitude of many Egyptians towards their nomadic countrymen. This dynamic has driven many members of the Bedouin community to cooperate with the terrorists. Another troubling aspect of Egypt’s battle against terrorism is that its military, unlike U.S. troops in Iraq and Afghanistan, doesn’t clear and hold IS strongholds in Northern Sinai. 42 Indeed, the multinational forces and observers have retreated to the safer areas of Southern Sinai. However, the terrorists aren’t far behind, launching attacks – including one on the St. Katherine Monastery. The worst was yet to come. On November 24, 2017, despite years of fighting and limited attempts by the Egyptian military to co-opt the local population, IS launched a massive attack on a mosque in the town of Radwa in Northern Sinai. The mosque belongs to the Sufi tradition of Islam, hated by the Salafi jihadists. Worshippers there apparently included tribal elements who’d been loyal to the regime. More than 300 people were brutally killed, and the attack raised scathing questions about the Egyptian military’s capacity to effectively conduct an anti-terrorist campaign. On the other hand, the sheer horror of the attack drove some Sinai Bedouins to support more decisive military action.43 But while the regime intensified military operations, such actions have been attended by growing tensions between the Egyptian government and Bedouin population in several areas. Schenker also asserts that under these circumstances members of Egypt’s high command have allowed the Israeli Air Force to do parts of their work for them. Schenker claims that the IAF has launched drone missions over Egyptian territory to target and destroy ISIS operatives in Sinai. Israeli leaders have hinted more than once that cooperation with Egypt is now at an unprecedented level, but they still shy away from any public confirmation of military activity in Sinai. And yet even strong air support isn’t enough. The Egyptian military must overcome its reluctance and retool itself for this unique kind of war. However, Schenker doesn’t suggest an end to the American aid program. On the contrary, he urges the White House and Congress to leverage it to prod the Egyptians to make necessary changes. Schenker specifically refers to operations, planning, training and equipment, as well as the civic side of counterinsurgency operations, as in dire need of fixing. This is an important but difficult conversation to have. Egyptians have always been prickly when it comes to criticism, external or internal. Previous efforts to bend their ears about the failed attempts in Sinai have been met, at best, with indifference. This is a reason for Israel to discreetly weigh in. After all, the country very much has a stake in a secure Sinai. This, along with Israel’s role on the ground there and standing in Washington make it a key player. In addition, the British still have some influence over Egypt. And Jordan, which has been successful in the highly specific realm of counter-terrorism, can also provide advice to Egyptian leaders. Regarding the United States, the time may be ripe for some necessary adjustments. For a variety of reasons American advice wasn’t welcome in Cairo during the Obama years. The U.S. was openly accused by many in Egypt, at the highest levels, of siding with the Muslim Brotherhood. With Trump taking a much friendlier line, it’s now easier for Egypt to join the Saudi-led lineup in support of a more robust U.S. presence in the region. This is an informal alliance, targeting totalitarian Islamism in all its forms. It could develop into a more focused trilateral or multilateral discussion involving the U.S., Israel, Jordan and others. Such alliances could apply the lessons learned in Syria and Iraq to developing a strategy for destroying IS in Sinai, Libya and elsewhere. Furthermore, a more effective and extensive war on terror is crucial if Egypt is to sustain stability in other parts of society. The long shadow of terror, particularly if it again spreads to the Nile Valley or threatens the energy sector, can undermine prospects for investment and growth. One of Mubarak’s favorite sayings was “ras al-mal – gabban”(“[investment] Capital is cowardly.”). Moreover, without dramatic results against IS terror, the repressive measures against MB and others will lose their legitimacy. Regardless of the security situation, it’s probably beyond the capacity of any present or future leader of Egypt to solve the country’s economic woes. Proud but poor, Egypt is badly overpopulated, lacks resources, deep in debt and lies the systematic refusal of the Egyptian army to adjust to new challenges. Also, the country’s burdened with a high rate of unemployment that’s especially so among young people. This is compounded by a chronic problem of ‘hidden’ unemployment that exists within a bloated bureaucracy, an enduring legacy of the Nasserist state. The country’s agriculture has been ruined by years of neglect and disastrous environmental damage, most of all by the nearly catastrophic consequences of the High Dam. Add to this mix an outdated industrial sector still dominated by money loosing state- or military-owned import substitution projects, and it becomes clear that Egypt can’t be fixed with a magic wand. At best, it may be possible to keep Egypt from going under. And there may be some limited prospects for gradual improvement. An optimistic outlook is that the economy can be brought to a growth rate just above the steady rise of the population, which will soon cross the 100 million mark. Almost all these millions are crammed into the thin strip of the Nile Valley and the Delta. Occasional attempts to break new ground, such as Mubarak’s vision of “al-wadi al-jadid” have repeatedly come to naught. This New Valley project was envisioned as creating new agricultural lands in the desert oases west of the Nile, to be watered by the High Dam. All this presents almost insurmountable obstacles to any political leader seeking to bring about positive change. And the sheer scale of the challenges means that foreign aid programs will barely scratch the surface of what’s needed. These basic conditions, combined with the terror threat that frightens away tourists and investors, raise serious questions about the regime’s prospects for survival. Of course, this grim assessment is based on accepting the presumed links between economic deprivation, social ills, and political instability. Sisi himself has expressed concern that serious economic failures, such as the power outages that diminished Morsi’s popularity during the summer of 2012, could bring him down as well. However, as discussed in the introductory chapter, the global data base on destabilization doesn’t indicate a simple link between economic decline and political disorder. The only thing the data confirms is a statistical fit between child mortality rates, a clear indicator of socio-economic underdevelopment, and the propensity for instability. The key determinant, if there is one, isn’t the deprivation level. Rather, it’s the perceived ability and willingness of the political leadership to do something about it. Can they act in a coherent and effective way? Do they actively coopt key economic players, generating public support and political legitimacy? Viewed in these terms, Sisi’s record so far is impressive in terms of activism, though mixed in terms of results. He’s shown a willingness and ability to make difficult decisions, and then produce tangible results. He’s also made some bold choices, which should be kept in mind along with the generally worrying trend line, and serious questions about recent strategic decisions. Two specific actions, taken soon after he was confirmed as president, are evidence of the regime’s energies and capacities. Certainly, the current regime ranks highly in this regard when compared to its predecessors, especially the later years of Mubarak’s long and increasingly sedentary reign. In mid-2014, Sisi did something unusually bold in his first few months in office. The new president ended the subsidies on fuel that had for years produced wasteful habits, as well as huge budget deficits. The prices at the pump climbed by 80% almost overnight. Addressing the Egyptian people on July 5, 2014, Sisi acknowledged that this was an extremely unpopular step. But he also explained the reason behind the decision, to save billions of dollars as the country’s foreign reserves were rapidly dwindling. In the summer of 2015, at a grand ceremony in Ismailiyah, Sisi inaugurated “Suez II”, rapidly dug up at a cost of $8 billion. The project doubled the carrying capacity of the canal and will reportedly raise billions in additional annual revenue. Some have described Suez II as an act of political extravagance. But it could in fact prove to be of significant practical value, in the context of the maritime dimension of China’s Yi Dai Yi Lu (“Belt and Road Initiative”). Adding to this sense of optimism was the dramatic announcement by the Italian energy corporation ENI that the exploration of Field 15 in Egypt’s Exclusive Economic Zone (EEZ) was showing great promise. In August 2015, “…Zohr turned out to be a sensational discovery”.47 Parts of the Egyptian Shorouk offshore concession have since been sold to BP and Rosnft, providing the country with significant revenues and a way out of chronic energy shortages. Prior to the discovery, Israel and Cyprus had also expressed interest, based on supplies from fields in the Israeli and Cypriot EEZs, and the prospect of a pipeline to Egypt. However, the Zohr find suggested the possibility of finding a major source of income for the foreseeable future. But by early 2018 Dolphinus Holdings, a military-dominated Egyptian corporation, had signed a landmark $15 billion deal with Noble Energy and Delek Drilling. The agreement was for the supply of 64 BCM of natural gas from Israel fields, largely aimed at reviving industry at the LNG facilities.49 The deal has yet to be implemented. Legal wrangling and disputes over which pipelines will be used are holding the deal up. However, the agreement is part of a growing integration of eastern and central Mediterranean countries. Israel, Egypt, Cyprus, Greece, and Italy are all seeking to put the region’s resources to good use. Meanwhile, the poor shape of Egypt’s finances continues to burden the country’s rulers and economic elites. Due to acute budget and balance of payments deficits in 2016-2017, tension has grown over the next round of subsidy reductions. Another hot economic debate with potential political ramifications is over the consequences of the Egyptian pound being devalued. In fact, the loan led not only led to social disruptions and political challenges, but also created doubts about Sisi’s ability and willingness to continue instituting deep structural reforms. In this respect, his second term will be decisive. It was the rising price of baby formula that triggered a crisis across Egypt. Irate parents took to the streets and closed off major arteries in Cairo. The regime was rattled by its own bold action and less self-assured than it had been over the fuel subsidies. It thus chose to respond in a manner that openly contradicted the recent promises of reform and liberalization. The government turned to the military, which moved swiftly to acquire 30 million containers of baby milk powder and arrange for their distribution. Meanwhile, the government seeks to promote investment and growth through large-scale strategic plans for the developments of specific sectors. Early in June 2018, the Minister of Trade and Industry, Tariq Qabil, announced a new national strategy for the textile sector. The initiative is based on reforming cotton production and use, a mainstay of the Egyptian economy since the 19th Century. Going forward, Sisi may continue his determined and energetic approach to large scale programs, and specific economic reforms. While he’s proven to be bolder in this regard than his predecessors, he’s also wary of the huge proportion of the economy that’s still under military control. The resulting favoritism, inefficiencies, and market pathologies in key sectors, from food to construction, have warped the Egyptian economy for decades. Shortages continue to plague the cities, and so did acts of protest, including public transport strikes and demonstrations by students. Despite Sisi’s efforts, the chronic ills of the Egyptian economy remain. His regime’s ability to bring about deep changes appears to be limited. One typical case of a well-intended economic policy that went wrong was the bread crisis of March 2017. For a while, it seemed likely to escalate into an uprising, raising worrisome memories of the violent bread riots of 1977, in which 80 people died. Indeed, these protests may have hastened Sadat’s decision to seek a breakthrough and end Egypt’s’ conflict with Israel. A new distributive practice was supposed to be more efficient, even innovative. Instead, it ran into serious implementation difficulties stemming from the country’s basic structural problems, as well as global trends like the rising costs of wheat. In 2014, the government instituted a system of smart cards for the most vulnerable Egyptians. Approximately one third of the Egyptian population qualified. The smart cards enabled each eligible person to purchase five pitas. It’s worth noting that people in Egypt consume bread at a higher rate than any nation on earth, compensating for the lack of other foodstuffs. However, slow implementation has meant that many people in the provinces and poorer neighborhoods, such as Imbaba in Cairo, still carry the old paper subsidy cards. Moreover, the lack of an orderly record system enables bakeries to inflate the amounts that are going to the poor. Then, the flour is sold at up to 100 times the subsidized price to private bakeries. Pitas only go for 10 times the subsidized rate. Given the dramatic rise in the global cost of wheat, coupled with the impact of the devaluation, the newly installed Minister of Supply and Internal Trade, Ali Moselhi, sought to put an end to these corrupt practices. He drastically cut the amounts of flour allocated to bakeries that service the old paper holders. People who had already been issued smart cards weren’t affected. The impact was immediate, as supplies quickly ran out, and some families found themselves without bread. The riots subsided, and the government moved to expand the smart card system in several governorates. As such, the crisis had been contained. But this came at a high price, the increased subsidizing of consumption, which rose significantly as a result.55 The entire episode cast doubt on the Sisi regime’s ability, despite its well-meaning intentions, to withstand social pressures, and pursue systemic reforms. The IMF loan can easily go to waste under these circumstances. Such an outcome would make it even more important for Egypt to be able to rely on the friendship and help of regional and international allies. Dual challenges made it vital for Sisi, and the Egyptian deep state, to find stable sources of support. On the one hand, there was terror and subversion. On the other hand, a painful economic transition had to be navigated. Help came in the form of financial aid, as well as oil and gas, from Saudi Arabia and the U.A.E. These countries helped Egypt survive the worst years, when the lingering impact of regional turmoil drove down practically all sources of revenue, from tourism to traffic through the canal. Moreover, in terms of global, regional and internal legitimacy, Egypt’s relations with the outside world have a direct bearing on the stability of the regime, and its ability to make risky decisions. While relations with some countries were strengthened, others became strained during this period. Since Morsi’s ouster, and the suppression of the Muslim Brotherhood, Sisi faced active hostility from pro-MB players in the region, led by Turkish President Recep Tayyip Erdogan and Qatar, headquarters of the state-funded al-Jazeera. Sisi also had to contend with the Obama administration’s highly suspicious attitude, the anger of many members of Congress, and the moral outrage of key players in Europe. Notable exceptions to this increasingly critical attitude were Greece and Cyprus. In a region violently divided into ideological camps, such stark attacks on the regime’s legitimacy posed a serious threat. Not only was its international reputation at stake, but potentially the government’s internal cohesion as well. Powerful regional players were looking for political cracks to exploit. The most vehement of these attacks came from Erdogan, who saw himself as the patron of the Muslim Brotherhood and all associated movements, including Tunisia Al-Nahdha and Gaza’s Hamas organizations. Soon after the overthrow of Morsi, Turkey’s Foreign Minister, Ahmet Davutoglu, declared the Egyptian “coup” to be “unacceptable”. Then, following the bloody events in Rabi’ah al-‘Adawiyyah, the Turkish ambassador in Cairo was recalled for consultations. Erdogan claimed that the changes in Egypt were the result of a “documented” Israeli “conspiracy”, which also involved “a French intellectual who is a Jew.” (presumably, Bernard Henri Levy) Escalating tensions between Egypt and Turkey were further proof that ideology was driving this regional upheaval. These two key players, once allies, had become bitter rivals almost overnight. In July 2014, as fighting raged in Gaza, an open dispute emerged as to who would manage the endgame, and efforts to achieve a ceasefire. Erdogan dismissed Sisi as a “tyrant” and implied that he couldn’t be relied upon to be of help.56 The Israeli position was diametrically. Israel went so far as to resist U.S. efforts to circumvent Egypt, and bring in Turkey and Qatar as mediators. This adherence to Egypt’s role was one of the reasons that the fighting lasted for seven weeks, until Hamas relented and agreed to accept Cairo’s dominant role in mediating terms. Similar dynamics evolved again in the summer of 2018, with the Egyptian services (aided by UN envoy Mladenaov) working to bring about a prolonged cease fire. Despite rumors of a secret meeting and reconciliation in 2015, hostilities between Cairo and Ankara didn’t abate. After the attempted coup in Turkey in 2016, Egypt refused to lend its support to a U.N. Security Council statement, which required the consensus vote of all 15 members, condemning the threat to Turkish democracy. Egypt was virtually in open conflict with Turkey. To a certain extent, this was also the state of Egypt’s relationship with Qatar. However, the Qatari leadership’s tone with regards to Egypt has been much more restrained than Turkey’s, though al-Jazeera’s Arab language broadcasts haven’t been as diplomatic. Regardless of these fine legal points, Hamas was regarded as an enemy. However, the Egyptian regime and country’s intelligence services reserved the right to communicate with Hamas when crises arose. The Egyptians during this period also learned to manage the Rafah crossing, so it acted as a safety valve for Gaza’s seething population. Simultaneously, the Egyptian military has been doing much more than it did during the Mubarak era to destroy the huge network of smuggling tunnels connecting Sinai and Gaza. While Hamas has protested that the terror problem in Sinai was not their doing, Sisi understood that the organization viewed him as an enemy. This was the case even if Hamas couldn’t afford to completely ignore Egypt’s will.60 Seeking to reduce tensions, the revised Hamas policy paper of 2017 deliberately dropped the claim to be an MB offshoot operating in Palestine. Still, there are no indications that the Egyptians have been willing to reconsider Hamas in light of this new position. Indeed, Sisi went out of his way in April 2017 to celebrate the work done to destroy the tunnels from Rafah.61 A mix of pressure tools and communication channels was used again in 2018. Amidst his confrontation with Turkey, a stormy relationship with Hamas, and the internal struggle with the Muslim Brotherhood, Sisi also had to contend with an icy and slippery relationship with the Obama administration. The White House was widely perceived in Egypt – and even by some within the administration itself, as Robert Gates’ memoirs reveal – as having turned its back on Mubarak. On the other hand, the limited U.S. embargo against Egypt was lifted in 2015, due to pressure from Secretaries of State and Defense John Kerry and Ashton Carter. However, this move was opposed by National Security Adviser Susan Rice, and Ambassador to the U.N. Samantha Power, who wanted to give a higher priority to human rights. This legacy of mutual acrimony came to a head in the events surrounding the U.N. Security Council vote on Resolution 2334. The contents of 2334 sharply criticized Israeli policies, and indirectly suggested the parameters of a future agreement with the Palestinians. Resolution 2334 was debated in December 2016, during Obama’s lame-duck period. Sisi, who was apparently encouraged by his pre-election meeting with Trump, offered his cooperation. Egypt officially took the UNSCR draft off 2334 the table. However, the Obama team, quite remarkably continued to support passage of the resolution. His team found other sponsors within the Security Council. Ultimately, the United States abstained, allowing the resolution to pass. In the process, the Americans had left Sisi to his own devices. He was now liable to be seen by his own people, and others across the region, in a highly unfavorable light. The ruler of Egypt was being viewed as less pro-Palestinian than even New Zealand. The entire episode explains much about Sisi’s concern regarding Obama’s attitude towards Egyptian stability, and whether the issue was a priority to the 44th President of the United States. From 2013 to UNSCR 2334 and beyond, a similar question over priorities arose in Brussels, and key EU member states. Many of the latter took a negative view of Sisi and the way he came to power. In addition to the tension with Italy over Regeni’s ugly death, there were statements by several European leaders criticizing the Egyptian government’s repressive actions. Some went so far as to raise questions about future cooperation with Cairo. In a sense, much of what Egypt lost in terms of its international standing after July 2013 was at least partly compensated for in other places. Ultimately, there can be no alternative – as the Egyptians know all too well – to the U.S. connection. What Washington offers Egypt on a broad strategic level, as well as military needs that must be met, simply can’t be replaced. Still, some of the losses caused by the hostilities with Turkey and Qatar, who had backed Morsi’s claim that he was Egypt’s legally-elected president, were more than made up for by the Saudi/UAE connection. Sisi and his transition team were well positioned to ask for Saudi support. For one thing, the interim President of Egypt, Supreme Court Judge Adly Mansour, had spent six years as a legal adviser in Saudi Arabia in the 1980s. This was not simply a matter of personal connections. Sisi’s firm stance against Islamist terrorism was strongly backed by Saudi Arabia, and the United Arab Emirates, both of whom had turned against the Muslim Brotherhood. In addition, these two Gulf states face what they see as an existential threat from Iran. Billions, in cash and in kind, were thus spent to first support the Tamarod movement against Morsi, and then to enable Sisi to consolidate his power. Aid from Saudi Arabia and the UAE more than matched the sums that Qatar had poured into the Morsi project. However, these relationships have subsequently had dramatic twists and turns.. Throughout, Sisi’s stance has been driven by self-interest rather than sympathy. In tapes from 2014 that were leaked in 2015, he sounds dismissive of those who “throw around their money like so much rice”.68 These sentiments, common among Egyptians, may well be an authentic reflection of his thoughts. Overall, however, common interests seem to be strengthening relations. In July 2015, the Saudi Minister of Defense, the king’s activist son Muhammad bin Salman who’s currently the Crown Prince and dominant figure in the country, came to Egypt on a formal visit. The two countries issued what came to be called the Cairo Declaration. It spoke in broad terms about cooperation “to boost security and stability in the region”, pledged to enhance cooperation on energy, trade and transport, and hinted at the need for certain territorial adjustments. This latter condition was clarified a bit later, when Saudi Arabia reclaimed the islands of Tiran and Sanafir. What followed, however, was a dangerous downward cycle that could’ve threatened not only Egypt’s standing but the political stability of the entire region. Three issues seemed to be driving a wedge between the signatories of the Cairo Declaration. At the same time, tensions were rising between Riyadh and Cairo over what seemed to the Saudis, with some justification, to be Egyptian’s meager contribution to their war effort against the Houthis in Yemen. The Saudis viewed this as nothing less than an existential struggle against Iran’s proxies. Egypt, in turn, was worried about Saudi policies in Syria. All this added up to a serious breach between the two most important pillars of the region’s stability camp. For the Saudis and most of their Gulf allies, the ultimate challenge is posed by the Iranian revolutionary regime, and its regional agenda. For Sisi, it’s the MB that presents the greatest threat to his government. This explains Cairo’s reluctance to be drawn once again into a disastrous Yemeni military incursion. Indeed, this is where the Egyptian military found itself embroiled in a long and costly campaign in the 1960s. Meanwhile, Sisi doesn’t view the Iranian threat as critical. And he tends to regard Basher al-Assad not so much as an Iranian ally but as a legitimate figure trying to hold his country together. These differences aren’t easy to overcome. However, the impact of a new American policy has largely patched up relations between Egypt and its Gulf state neighbors. At the Riyadh summit, Sisi was able to present a common front with the Saudis and Trump. He emphasized the sympathy of the new administration towards both Saudi Arabia and Egypt. How this renewed amity will be translated into action, in both Syria and Yemen, remains to be seen. In this arena, Egyptian, Gulf and Russian interests cohere. The Egyptians have been using their position to not only secure their western border but also increase their footprint in the ongoing struggle for regional hegemony. Cairo’s relations with Israel have also seen a marked improvement under Sisi. To some extent, this was the obverse side of a broken, and even hostile, relationship with Hamas and its regional sponsors. In particular, tensions with Qatar escalated over several issues, including the Libyan situation. Libya’s Second Civil War became a proxy fight between Sisi on one side and pro-MB regional players, Turkey and Qatar, on the other. This in turn led to a full rupture with Qatar in June 2017, as part of the stability camp’s assertive new policy, led by the Saudis. In January 2016, after three years, Egypt finally appointed a new Ambassador to Israel, Khazem Khayrat. An accomplished diplomat, Khayrat has since shown a remarkable capacity for delivering Egypt’s message in a low-key but effective way. When fighting erupted in Gaza in 2012 his predecessor was recalled for consultations by Morsi and never returned to Israel. The timing was highly significant since it took place against the background of escalating Palestinian attacks, and accusations that Israel was guilty of extra-judicial killings. Later, such language was pointedly rejected by Sisi’s Minister of Foreign Affairs, Samekh Shukri. Shukri came to Israel on a well-publicized visit in July 2016, amidst serious behind the scenes efforts to set the stage for a political breakthrough and renewed talks. However, the traditional barriers between Egypt and Israel remain. In addition, a deep-seated hostility by many Egyptians toward Israel pervades. In a country where the public discourse on Israel is often poisonous, Sisi has felt obliged on several occasions to rationalize his relatively friendly attitude. He’s attempted to justify his policy on Israel within the context of efforts to revive Israeli – Palestinian negotiations. Sisi has described these meetings as “a model for successful international relations”, and the joint statements issued at the summits have covered an impressive range of common interests.75 With new patterns of energy cooperation in the Eastern Mediterranean likely to emerge, these interwoven trilateral summits might well become the building blocks of a new regional balance. Moreover, for Egypt – as for Israel – Greece and Cyprus can help tone down the incessant criticism emanating from Brussels. Amidst complex regional dynamics only one issue is of potentially existential significance for Egypt and its regime’s stability. As the Ethiopian government pushes ahead with the Renaissance Dam on the Blue Nile, fears have arisen in Egypt that the country might face a crisis of historic proportions. Construction on the dam, after years of planning, began in 2013. Once completed, this will be the largest dam in Africa and could have a dramatic effect on Egypt’s water supply. After all, some 90% of the Nile’s waters downstream originate from the Blue Nile. The Renaissance Dam could thus bring into question the applicability of the 1929 Nile Waters Agreement. In June 2013, President Muhammad Morsi seemed to threaten Ethiopia. During an impassioned speech on television, Morsi said that “all options are open”, including the use of military force, to protect Egypt’s water security…If Egypt is the Nile’s gift, then the Nile is a gift to Egypt…If it diminishes by one drop then our blood is the alternative”.77 Morsi’s language may have reflected the anger of many Egyptians, but it also met with derision by many others, and confirmed the suspicion that Morsi was unable to comprehend the real world limits on Egypt’s power. This impression may have hastened his overthrow a few weeks later. The Sudanese government, which in recent years had shifted from being pro-Iranian to pro-Saudi and pro-Western, may have believed that the need for unity on the Ethiopian dam question would give them leverage over Egypt. But such a policy isn’t likely to produce results. Given the firestorm unleashed by his decision to return the Tiran and Sanafir islands to Saudi Arabia, Sisi’s not about to show any further flexibility on the issue of Egypt’s territorial integrity. But with regards to Egypt’s water supply Israel’s uniquely situated to be of assistance. For one thing, the country has cooperated with Egypt on agricultural development in the past. Also, there’s no country in the world that has a more impressive record on desalinization and recycling of water than does Israel. The virulent Egyptian opposition to normalization may stand in the way. But through third-country channels and Mediterranean cooperative initiatives, this objection can be effectively overruled. Ultimately, the external dynamics described above won’t be the primary factors in determining the regime’s stability in Egypt. The fate of Sisi’s government will remain an essentially domestic issue. Even in a democracy it isn’t easy to define political legitimacy. This becomes even more difficult in an authoritarian or hybrid system, were the views of large swaths of the population can’t be ascertained with any degree of certainty. At the same time, the absence or loss of legitimacy can be easily discerned, particularly after the fact. The collapse of internal unity and coherence within a government is often a strong indication that its legitimacy is eroding. For one thing, legitimacy isn’t synonymous with being duly elected. Morsi lost his legitimacy, despite his pleas to the contrary, even though the 2012 elections were perfectly lawful. Meanwhile, Sisi enjoyed and may still enjoy a high degree of support, despite the circumstances of his rise to power, and the obviously non-democratic nature of his electoral results. Nor is stability simply a function of governmental performance. True, some visible degree of will and ability to act are clearly part of what secures the consent of the governed. Still, the link between measurable performance and political legitimacy isn’t always clear. Elements such as charismatic leadership make it even more difficult to pin down what constitutes political legitimacy. The discussion here won’t focus on the question of whether the present regime in Egypt is legitimate. Rather, it’ll analyze the effectiveness of Sisi’s efforts to secure and broaden his legitimacy. This approach will measure the process, rather than the results. In the context of this process, we’ll gauge Sisi’s success by using the criteria the regime itself has set. In this respect, three aspects stand out. First, there are Sisi’s effort to sustain his claim to constitutionality and due process. Even amidst the systemic and often brutal repression of important parts of the political spectrum and civil society, Sisi continues to use the language of democratic legitimacy. This tactic reflects a certain degree of caution, in light of the political and popular legacies of the events that took place in January 2011. A second aspect is the strong and pronounced sense of mission, sometimes cast in almost messianic terms. While Mubarak upheld the status quo, Sisi apparently looks upon himself as a man of the people, acting on behalf of all Egyptians. Sisi represents his countrymen’s best, perhaps even last, hope for a better life. There’s more than a touch of Nasser in the way Sisi conducts himself. What Sisi lacks are Nasser’s ideological drive and regional ambitions. In turn, Sisi’s approach to leadership is used to shore up political stability, without which the Egyptian people’s hopes are bound to be dashed. The third and most ambitious element of Sisi’s striving for political legitimacy is his attempt to translate the political conflict that erupted in 2013 into a broader confrontation with the ideology of radical Islamism. Sisi thus seeks to turn Egypt into a driving force in the struggle for the future of Islam, nothing less than a standard bearer in the global war against violent extremism. In constitutional terms, the steps taken after Morsi’s overthrow indicated a degree of residual respect towards the goals of the 2011 revolutionaries. There was no formal return to rule by the Supreme Council of the Armed Forces. Indeed, a supreme court judge was installed as interim president and a committee of 50 was appointed to draft a new constitution (recalling the procedures of 1923). The ideals of freedom, political and personal, were given their proper place in the constitutional draft. During the interim period, Sisi served as defense minister and deputy prime minister. In March 2014, he kept up constitutional appearances and took off his army uniform to run for president. He ascended to the presidency after winning a lopsided election, held between May 26 and May 28 2014. However, this result was unpleasantly reminiscent of previous rigged elections held in Arab autocracies and dictatorships. Hamdeen Sabbahi, an outspoken Nasserist who’d won a significant share of the vote in 2012, only got 3% (757,511) of the vote compared to Sisi’s 97% (23,780,104). The traditional rigging practices and the decision by most anti-Sisi voters to stay home probably drove the overall turnout down to below 50%. . The system today can best be described as a hybrid between democracy and autocracy. The Parliamentary elections of late 2015 only emphasized this seeming contradiction. This vote produced a chamber dominated by independents, 351 out of 596 members of parliament. The remaining parliamentarians were widely scattered among 19 parties. Many of them coalesced around the Fi Hubb Masr (“Love of Egypt”) alliance. While generally supportive of the president, this loose affiliation didn’t really resemble a governing party. The 2018 elections further eroded genuine democratic practices. This is certainly not what the young protesters in 2011, or even the organizers of Tamarod in 2013, had in mind. Still, the situation in Egypt doesn’t yet mark a full descent into one-party rule, which characterized the country’s parliament under Mubarak. To some extent, constitutional practices have been left untampered. One example is the relatively robust set of procedures for parliamentary oversight. Another strong component of the hybrid system is the relative independence of the judiciary. This characteristic has become more pronounced since Mubarak’s ouster. In March 2015, the constitutional process was delayed by a few months because the Constitutional Court rejected the Elections Law. It found that Article 3, allocating constituencies, to be unconstitutional.82 Later, the legal saga over the Red Sea islands, despite its outcome, proved again that within the deep state the courts have retained a high degree of autonomy. However, one area where the trendlines are clearly pointing in the opposite direction is the threat to freedom of expression, and the future of a free press. Egypt’s now on the short list of countries with the largest number of journalists behind bars. The jailing of over 60 journalists is dwarfed by the number imprisoned by Erdogan in Turkey. But this is nonetheless a growing problem for Egyptian society. At the core of the new system stands the towering figure of president, unaffiliated with any party. Sisi has also nominally left behind his loyalty to the military establishment. By his own reckoning, he’s deeply attached to the Egyptian people, and constantly acts on their behalf. When he announced his candidacy for president in March 2014, Sisi said he was guided by the need to re-establish security, reverse economic decline, rebuild national institutions, and restore Egypt’s standing. These challenges are essentially those described in this paper. Sisi came to see himself as the only man capable of guiding Egypt through the storm. During this period certain developments gave some credence to this belief. In this effort to portray himself as the people’s tribune, while implementing painful reforms, Sisi relies on an aspect of Egyptian political life that served his predecessors well. The institutional structures enable the president to stay above the fray and outline visionary principles and policies. Meanwhile, messy complications, and the responsibility for failure, are left to the prime minister and cabinet members to address. Indeed, one of their main functions is to serve as convenient scapegoats when things go wrong. One recent example is the bread rations crisis. Along with the constitutional and institutional aspects of legitimacy, as well as the president’s sense of mission and appeal to popular sentiments, there’s a third vital element to Sisi’s strategy. This has been the effort to re-define the ideological battleground. In his own words, Sisi seeks to “reform religious discourse [ tas’hih al-khitab al-dini ]”. His speech before the Ulama, scholars and clerics, at Al-Azhar, on January 1 2015 is a prime example. During this speech, Sisi gave full rein to his ambitious yet largely unfulfilled attempts to confront and de-legitimize the Islamist challenge. Building on his reputation as an observant Muslim, a fact that may have helped persuade the MB leadership to back him in 2012, he went on the attack against Islamism in all its forms. However, given the regime’s dependence upon a largely conservative and perhaps frightened body of religious scholars, implementation remains highly uncertain. By April 2017, following the horrifying attacks on the Coptic churches that clearly indicated a deliberate effort by IS to tear Egyptian society apart along sectarian lines, Sisi had stepped up his preventive efforts. Again, his focus went beyond military and intelligence measures. He also delved into the realm of ideological counter-measures. Internal Tensions: Can Stability be Sustained? In some respects, Sisi’s prospects are better than they were just two years ago. For one thing, Israel remains highly supportive. This is no trivial matter given the value of the peace treaty to Egypt, along with Israel’s influence in Washington. Meanwhile, Saudi Arabia and the U.A.E., whose help is vital to the Egyptian economy, have re-affirmed their support after a somewhat turbulent period. Above all, the United States has done an about face. America’s direct or indirect imprint is relevant to every aspect of Sisi’s struggle to stabilize his position: economic, military, and moral. Even before the U.S. elections, Sisi found Trump’s attitude to be in sharp contrast to that of Obama. This clear difference between the two administrations was driven home by the troubling tone of the Egyptian leader’s meeting with former secretary of state Hillary Clinton, Obama’s heir apparent. The Trump team has clearly put stability, loyalty, counter-terrorist actions, and a hard line against Iran well above other concerns – such as political pluralism, and human rights. Once in power, the new administration committed to supporting Egypt’s regional agenda, and the latter’s war on terror. Secretary of Defense Mattis made this point abundantly clear when he met with Sisi in April 2017. Trump was willing to provide Sisi with another source of legitimacy, by asking for his help in working to revive the Israeli-Palestinian peace process. Ultimately, he asked for no one’s advice when he decided to move the U.S. Embassy in Israel to Jerusalem. On this issue the Egyptians were clearly of two minds. While publicly critical of the move, Sisi’ regime was in private willing to speak to the Palestinians about the need to accept new realities. Trump subsequently called Sisi to congratulate him on his election victory and used the opportunity to reaffirm American support.93 The Egyptian regime now finds itself less besieged, and better able to forge new links in the region and even Europe. Thus, at least in theory, Egypt today is in a better position to pursue necessary reforms and policy changes. If President Abd al-Fattah al-Sisi fails to maintain stability, it won’t be attributable to the hostile attitudes of important players in the international community, or his regional rivals. The challenge of legitimizing his regime, internally and in the eyes of the world, now lies squarely on Sisi’s own shoulders. Despite deep-set difficulties, serious policy problems, and recurrent prophesies of impending massive unrest in Egypt, there’s no good reason to assume that Sisi will complete his term of office.94 It becomes more difficult to predict beyond 2024. On the one hand, Sisi has promised to not repeat the mistakes of his predecessors, and he’s acutely aware of the consequences of staying in power for too long. On the other hand, he’s driven by an almost messianic sense of his own importance to Egypt. Also, contemporaries such as Xi in China and Erdogan in Turkey have shown that it’s possible to secure a regime, for years and even decades. Going forward, Sisi’s decisions and their consequences may largely be influenced by internal dynamics within the governing elite. Egypt faces daunting challenges, and hovers in a hybrid political model that could be severely tested in a future crisis. The cohesion of Sisi’s inner circle, and his relations with the key institutional pillars of the deep state, will be of decisive importance. Until recently, there were hardly any reliable indications of meaningful rifts within the governing structure. The regime has displayed at least a willingness, if not always a sufficient capacity, to confront the most difficult problems head on. These include everything from economic incentives and projects to the war on terror and the battle to reform Islam’s religious discourse. With regional and international winds at his back, Sisi’s currently enjoying the benefit of the doubt, if not outright enthusiastic support, that’s being given by Egypt’s political classes. They may often be critical on specific issues, but this is outweighed by a fear of anarchy or an Islamist ascendance. Thus, they prefer a slow and evolutionary change, coupled with more than a touch of authoritarianism. The alternative to Sisi is another revolutionary convulsion that could lead to bloodshed and totalitarian rule. With Sisi still the man of the hour, five years after Morsi was overthrown, there seems to be no viable option that Egyptians would trust to keep the country on an even keel. Still, the events surrounding the run-up to the 2018 elections raised doubts for the first time about Sisi’s total control of the political arena. More specifically, the loyalty he’d commanded within the deep state and security establishment came into question. In January 2018, there were growing signs of internal dissent, and increased pressure by elements of civil society to reassert the democratic spirit of 2011. In response, Sisi took swift, and even brutal, steps to ensure that he would not be challenged, either from within the establishment or outside of it. Former chief of staff Sami Anan publicly considered a bid for the presidency. Anan’s candidacy was potentially harmful to Sisi since he was a prominent member of the establishment. Anan voiced sharp criticism of the government’s failure to defeat the terrorists, the decline in living standards, and erosion of constitutional rights. Sisi acted swiftly to deflect the challenge, and Anan was barred from running for president on a technicality by the military. Meanwhile, Sisi had another rival to contend with, former commander of the air force Ahmad Shafiq. In 2012, Shafiq ran against Morsi and proved to be an effective and popular voice of the established order. He garnered an impressive 48% of the vote in the second round. Shafiq declared in the U.A.E. that he would run against Sisi. But upon his arrival in Egypt he was apparently detained in a hotel for a few days and was persuaded to drop his bid. Ultimately, Sisi’s electoral victory was a cakewalk. However, the manner in which he won revealed real and potentially dangerous tensions within the professional elite, and even the military establishment. Against the broader landscape of existential challenges, such internal strains could lead to wider disruptions at a most inconvenient time. The war against IS in Sinai needs to be conducted with greater determination and efficiency. The same is true for operations against the terrorist infrastructure in the ungoverned areas of Libya, as well as population centers in the heart of Egypt. The regime’s broader concept, including the work being done on the ideological and theological fronts, is impressive. It deserves moral backing, and practical support. However, this initiative should be complemented by a coherent counterinsurgency strategy in Sinai and elsewhere. The Egyptian government needs to offer local elements, which in Sinai essentially refers to the tribes, a stake in the outcome. Resources now dedicated to the continued acquisition of military hardware, which is irrelevant to Egypt’s genuine security needs, should be diverted. Egypt, in close consultation with the U.S. administration and Congress, should thus shift its military and civilian focus to programs and products that are needed to conduct the war on terror. Israel can play an indirect role in this effort. However, Jerusalem must be mindful of the deep resistance inside Egypt, specifically within the military establishment, to advice from Israel. Political repression, which may have once been justified as a necessary evil in the struggle against the Muslim Brotherhood, needs to be reconsidered. There was a high cost to Egypt as a result of the Regeni affair. Those seeking to develop greater cooperation between Egypt and allies across the Eastern Mediterranean suffered setbacks because of Giulio Regeni’s murder. Its implications deserve reflection and the political system that enabled the murder reformed. The term deep state was used in this study in a generally positive sense, the well-established institutional structure that protected Egypt from an Islamist takeover. However, it’s important to remember that the origin of ‘deep state’ is a particularly repressive period of contemporary Turkish history. Sisi, whose passionate sense of mission seems to be genuine, needs to establish a rigorous system of internal controls, to ensure that the tools used to keep him in power do not fatally undermine his legitimacy. At some point, the political landscape will need to be renovated. With presidential powers secured, it’s the parliament in this hybrid democratic-authoritarian state that needs to offer better avenues of civilian participation in the political process. Specifically, liberal parties should be able to vie for political power in areas that are subject to parliamentary authority. Such models already exist, in both the monarchies and presidential republics of the Arab world. In particular, North African countries and Jordan have been able to successfully channel their people’s political energies away from revolutionary turmoil, and toward legitimate party politics. Amidst the plethora of liberal parties that emerged, or re-emerged, in the wake of 2011, there are some solid political foundations to build on. However, such reforms should be kept in a proper historical context. Egypt’s civil society thrived, and reached creative heights, during the era that it experimented with liberalism. On the one hand, liberal political parties vied for control of parliament, as well as the executive authority vested in the prime minister’s office. On the other hand, important powers remained with the king. To some extent, this exercise in power was more covert, enabled by the British and its military presence in Egypt. A modern, republican, all-Egyptian variation on this theme would be characterized by genuine political parties competing in legitimate parliamentary contests. However, the military-backed presidency would enforce the necessary rules of the road and prevent an Islamist reversal. Such a model could offer a workable, stable, future for Egypt. The Egyptian regime’s local and international standing will be secured via a regional alliance of stability-minded nations. Recently, the countries made common cause against Qatar, and demanded that it end to its support of the MB, as well as Islamist groups operating in Libya. These developments emphasized the importance of such a camp to regional stability. While this alliance seems to enjoy the support of the Trump administration, it needs to be shored up in Congress. This is where Israel could be helpful. And in Europe, Mediterranean countries like France, Italy, Greece and Cyprus can further anchor the regional alliance. Last, but not least, the regime needs to revive its commitment to economic reform that animated its early days in power. This energy may have been channeled into grand symbolic projects, rather than the grinding work of improving infrastructure, and investing in education. But these efforts must not be mutually exclusive, and the building of a new capital is not a panacea. Egyptian policy makers do need to work hard simply to prevent the country from sliding further back. In Egypt, dangers lurk around every corner. Terror and lawlessness can frighten away investors and tourists, while facilitating a general decline in trust that undermines stability. This is a vicious cycle that needs to be broken. Rational responses on all fronts could slowly take back the ground lost in recent years, but only if the regime retains both its legitimacy and internal cohesion. For Israel and other members of the regional stability camp the viability of the Egyptian regime is a vital national and foreign policy interest. As such, these governments should structure their dialogs with Sisi accordingly. Specifically, they should accept Sisi’s view of himself as indispensable to Egypt’s future. But these regional allies should also, where appropriate, point out to the Egyptian government policies and actions where reforms are vital. Over the long term, helping Egypt this way will help the country enhance its legitimacy in Washington and elsewhere. And a better international standing is an important barometer of the regime’s stability inside Egypt. The most useful account of modern Egyptian history probably remains P.J. Vatikiotis, The Modern History of Egypt (London: Weidenfeld and Nicholson, 1969). “Russian plane crash: What we know”, BBC News 17 November 2015, retrieved from bbc.com. Nour Youssef, “Motives in Egypt’s Deadliest Terrorist Attack: Religion and Revenge”, New York Times, 1 December 2017, retrieved from nytimes.com. The World Population Review (www.worldpopultionreview.com, retrieved on 6 Feb. 2018) gives the current number at 98,653,293, based on the 2010 census and growth patterns since. Egyptian State Information Service, “New Administrative Capital”, at www.sis.gov.eg, retrieved 6 Feb. 2018. United Nations Development Programme and the Arab Fund for Economic and Social Development, Arab Human Development Report 2002: Creating opportunities for Future Generations (New York, 2002). See e.g. Sarah E. Yerkes and Tamara Cofman Wittes, “What Price Freedom? Assessing the Bush Administration’s Freedom Agenda” (Washington: Brookings, 2006). On the PITF see for example the 5 Feb. 2004 posting in https://www.wilsoncenter.org. Robert H. Bates, David L. Epstein, Jack Goldstone, Ted Robert Gurr, Michael B. Lustik, Monty G. Marshall, jau Ufelder and Mark Woodward, “A Global Mode for Forecasting Political Instability”, American Journal of Political Science 54:1 (Jan. 2010), pp. 190-208. Johannes Gerschewski, “The Three Pillars of Stability: legitimization, Repression and Co-optation in Autocratic Regimes”, Democratization 20:1 (2013) pp. 13-38. A troubling (but unsubstantiated) report to that effect appeared in an Emirati paper in October 2016 – see The Jerusalem Post, 4 Nov. 2016, quoting Nur al-Din al-Mansuri in al-Khalij al-Jadid, 26 Oct.
 For an early but comprehensive assessment of the regional turmoil see Efraim Inbar, ed., The Arab Spring, Democracy and Security: Domestic and International Ramifications (London: Routledge/ BESA Studies in International Security, 2013). For a troubling account of these specific events – with a note of sympathy for the repressed – see Robert F. Worth, A Rage for Order: The Middle East in Turmoil from Tahrir Square to ISIS (New York: Farrar, Strauss and Giroux, 2016), pp. 158-161. For the comments by Robert Gibbs, a spokesman for the Obama Administration, on 26 January 2013 see e.g. “Timeline: Egypt’s Revolution”, Al-Jazeera online, 21 Feb. 2011. ‘Alaa al-Aswani’s novel, The Yacoubian Building, offers harrowing insights into Mubarak’s Egypt – and in particular into the seemingly all-powerful state and its interaction with corrupt economic players, as well as into the motivation of those who ended up in the Islamist terror groups. For this three-pronged power struggle and the distinction between the military “proper” and what he calls the ” security coterie” see Hazem Kandil (Interview), “Revolt in Egypt”, New Left Review 68, March-April 2011. Canan Sahin, “Fragile Politics of the pro-Sisi Alliance in Egypt: Nasserist State Legacy within Neoliberal Context”, Ortadogu Etutleri (Middle eastern Studies) 6:1, Temmuz (July) 2014, pp. 92-117. Rebecca M. Nelson and Jeremy M. Sharp, Egypt and the IMF: Overview and Issues for Congress (Washington: Congressional Research Service , 29 Apr. 2013). Worth, ibid., p. 143. While deeply and emotionally appreciative of MB “bridge figures” like Dr. Muhammad Beltagy, who lost his daughter at Rab’iah al-‘Adawiyyah, Worth is rather critical of the MB leadership and their presumed deal with the military and the security establishment. Hazem Kandil, “revolt in Egypt”, see note 12 above. Washington Post 4 Nov. 2013. Al-Arabiya News, 25 Dec. 2013. “Sisi defends Egypt police but acknowledges rights abuses”, Al-Arabiya News, 20 Jan. 2015. Independent (Britain), 25 Jan. 2015. Quoted in Haaretz, 2 Feb. 2015. Ahmad Aboulenein, “”Egyptian state TV airs video of murdered Italian student Regeni”, Reuters, 23 Jan. 2017. Benji Flacks (The Media Line), “Is a humanitarian crisis looming in Sinai?”, Jerusalem Post Magazine, 4 May 2018; Reuters, “Egypt has demolished tons of Sinai homes, HRW says”, Jerusalem Post, 23 May 2018. “”Egypt president says need growing for joint Arab force”, Aljazeerra, 23 Feb. 2015. “Egypt launches strikes in Libya after Minya attack”, Aljazeera, 27 May 2017; Reuters, 29 may 2017. See for example “Egypt army says senior Islamic State cleric killed in Sinai”, AFP, 20 Apr. 2017. Joel Gunter, “Could Islamic State have bombed Flight 9268?”, BBC News, 5 Nov. 2015. “Cairo: 25 killed by bomb blast near St. Mark’s Cathedral”, Aljazeera, 11 December 2016. One of the regime’s reactions was to hang an Ansar Bayt al-Maqdis terrorist, ‘Adil Habarah, three years after his capture. David Schenker, “Egypt’s Failed War on Terror: Why Cairo is Dragging its Feet on ISIS”, Foreign Affairs, 10 May 2017. Beverley Milton-Edwards, “Egypt mosque attack: new level of horror in decades-long struggle to control Sinai”, 27 November 2017, www.theconversation.com (retrieved 3 June 2018); Taylor Luck, “Why Sinai mosque attack is seen as a major ISIS miscalculation”, The Christian Science Monitor, 27 November 2017, www.csmonitor.com (retrieved 3 June 2018). David D. Kirkpatrick, “Secret Alliance: Israel Carries Out Airstrikes in Egypt, With Cairo’s O.K.”, New York Times 3 February 2018, www.nytimes.com (retrieved 3 June 2018). “Sisi defends Egypt’s fuel subsidy reduction”, aljezeera.com/news, 5 July 2014.
 http://www.edition.cnn.com/2015/08/06/world/new -suez-canal-opens; “Suez canal II sequel impresses Egypt Sisi” http://mwww.aljazeera.com/indepth/opinion/2015/08. David Wainer and Yaacov Benmeleh, “Israel-Egypt $15 Billion Gas Deal Boosts Energy Hub prospects”, Bloomberg 19 February 2018, www.bloomberg.com (retrieved 3 June 2018). http://www.reuters.com/article/us-egypt-imf-deal-idUSKCN10M1LZ; “IMF approves 12 billion loan to Egypt”, https://www.alaraby.co.uk/english/news/2016/11/11. ECES (The Egyptian Center for Economic Studies), “suna’ yarhabun bil-istratijiyyah al-qawmiyyah li-tanmih al-sina’at al-nasijiyyah” [Manufacturers welcome the national strategy for the development of the fabric industries], Ra’i fi Khabar [A view of the news] no. 406, 5 June 2018. Ahmed Aleem, “Will bulked-up wheat reserves keep the peace in Egypt?”, Al-Monitor Egypt Pulse, 30 Mar. 2017; see also “What you should know about Egypt’s bread crisis”, Al-Arabiya English, 9 Mar. 2017, and “Egypt bread riots: Protests erupt after subsidy cuts hits poor”, www.middleeasteye.net, 8 Mar. 2017. Eric Knecht and Maha el Dahan, “As austerity-hit Egyptians turn to bread, wheat imports hit new highs”, Reuters 19 Mar. 2017. Rami Galal, “Egypt challenges court ruling on Hamas “terrorism”, al-Monitor: Egypt Pulse, 25 Mar. 2015. See, e.g., editorial in al-Dustur (Jordan), 1 Nov. 2014, quoted in the Jerusalem Post, Nov. 7. Michael Doran, “Fiction and Foreign Policy”, Mosaic, 19 May 2015, https://mosaicmagazine.com (retrieved 5 June 2018). Karen DeYoung, “Defense Secretary Mattis withdraws Patterson as choice for undersecretary for policy”, Washington Post, 14 Mar. 2017. Albaraa Abdullah, “The real reason behind thaw in EU-Egypt tensions”, Egypt Pulse 9 Mar. 2017, www.al-monitor.com. “Tasrib qanah Mekamleen TV: al-Sisi yahtaqir alkhalij” [Mekamleen TV leak: Sisi insults the Gulf} on Youtube, 7 Feb. 2015; “Why Mekamleen tapes could topple Sisi’s government”, 8 Feb. 2015, http://www.middleeasteye.net. “Saudi Arabia and Egypt sign “Cairo Declaration”, 31 July 2015, www.aljazeera.com. Zvi Mazel, “Israel-Egypt: The long-awaited thaw is still not forthcoming“, Jerusalem Post, 4 Dec. 2016. Aya Samir, “Egypt, Greece, Cyprus: Model for successful international cooperation”, Egypt Today, 21 November 2017, www.egypttoday.com (retrieved 4 June 2018). Abdi Latif Dahir, “A major geopolitical crisisis set to erupt over who controls the worlds longest river”, Quartz 17Janusary 2018, https://qz.com.cdn.empproject.org (retrieved 7 June 2018). “Egyptian warning over Ethiopia Nile dam”, BBC 10 June 2013, https://www.bbc.com (retrieved 8 June 2013). Ayah Aman, “Egypt unmoved on Ethiopia’s plan to fill Renaissance Dam reservoir’, Al-Monitor 21 March 2018, https://www.al-monitor.com (retrieved 8 June 2018). Michael Harris, “Grand Ethiopian Renaissance Dam meeting ends without clear resolution”, HydroWorld 6 April 2018, https://www.hydroworld,com (retrieved June 2018). Abayomi Azikiwe, “Sudan-Egypt Relations Further Strained over Territorial Dispute. The Hala’ib Triangle”, Global research, January 2018, https://www.globalresearch.ca (retrieved 8 June 2018). “Egypt kills 19, arrests 20 in Sinai” , Reuters, 17 May 2018, in Jerusalem Post, 18 Amy 2018. Joel C. Rosenberg, “It’s time for Washington to strengthen ties with Egypt”, Jerusalem Post, 2 Mar. 2017. “Trump congratulates Egypt’s Sisi in call, affirms strategic partnership”, Reuters 2 April 2018. www.reuters.com (retrieved 10 June 2018). H.A. Hellyer, “Sisi’s Control of Egypt is Absolute”, The Atlantic 1 April 2018, www.theatlantic.com (retrieved 10 June 2018). Ranya al Malky, “Egypt’s election drama: Sisi’s moment of hollow triumph won’t last”, Middle East Eye 30 January 2018, www.middleeasteye.net (retrieved 10 June 2018). Civilian developpment in Sinai, and especially creating job opportunities for the bedouin poulation is key.